is it possible to write a rhyming story without the final product sounding samey-samey? Can you give some tips on meter? I’ve had a couple of people in critique groups tell me they love my story but I need to ‘clean u’p the meter and I’m having a hard time figuring out how to do that when they sound fine to me. Have you taken any courses (Renee LaTulippe?) to help teach you rhyme or are you self-taught or any classes in picture book writing? Thank you for sharing your knowledge. Can you recommend agents or publishers that are looking for rhyming PBs? Thank you. Do you write the story in rhyme first or after you have all the main points? Have you ever had a story that you changed from rhyming to no rhyme because it didn’t work? Only rhyming picture books do? What do you think about books that are written with a rhythm but do not rhyme? Thank you for doing this! can you explain more about near rhymes and slant rhymes. Thanks. 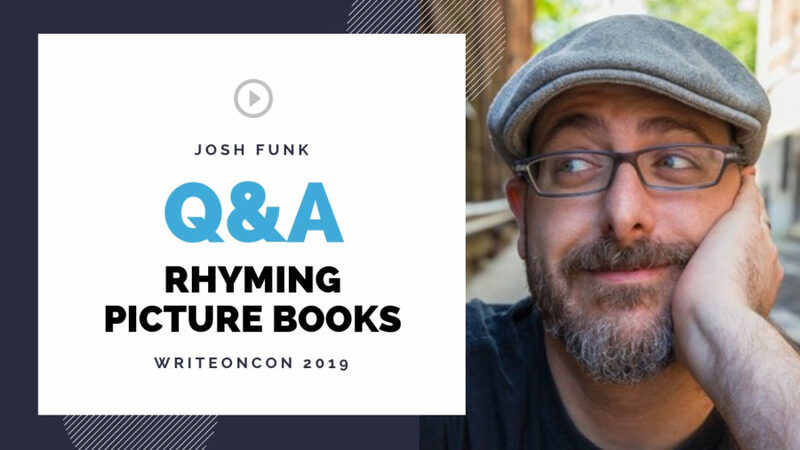 About the rhyme being difficult to sell because of other languages & difficulty of translation. I have one o f my books in rhyme in English and prose in two other languages I speak and write in because I think it works better in rhyme in English and not in rhyme in the other languages. Is that ok to mention? Does it make me sound loopy? How many drafts or revisions do you typically make before you finish and submit to your agent or publisher? How do you know when it’s “ready”? Do you think rhyming picture books need to have perfect stressed and unstressed syllables, or is it more about the rhythm?